I have to admit I was slightly apprehensive in the days leading up to the Women’s Olympic 7s Tournament as to how it would be received by the global audience that would be undoubtedly tuning in to watch. My main concern came from how alien the sport of 7s must seem to those totally unfamiliar with rugby. The sport’s infamously huge number of laws and odd terminology might put people off from putting in the effort to keep up with the gruelling schedule that is a natural part of a 7s tournament. My second concern came from the lack of coverage that Women’s Rugby gets during the regular season, in that people wouldn’t be tuning in to see their country’s star of the World Series play simply because they would have no idea who they are. I’m very happy to say that after just three days of competition my first concern turned out to be a non-issue and my second won’t be a concern any longer. The reaction to 7s from the greater Olympic audience has been absolutely fantastic, with many people tuning in due to curiosity and staying because they were hooked. As for big names and stars, this tournament has created plenty. 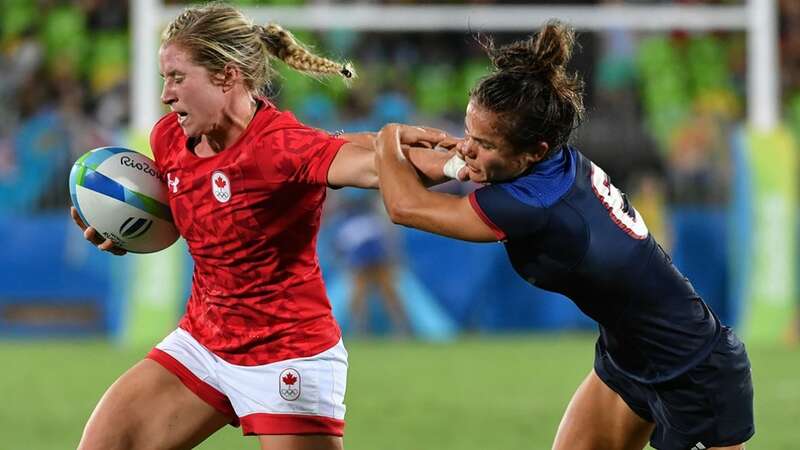 Players like Jennifer Kish, Charlotte Caslick and Portia Woodman are bound to have inspired young girls all around the world to pick up a rugby ball and get playing and countless more men and women will want to follow the heroines of the Olympics on their next World Series. Of course, none of this would have been possible if the rugby on display wasn’t thrilling and entertaining, which it was. Whether it was from the slick passing of Australia or the hard-hitting kiwis, down to the passionate and plucky performances from underdogs like Spain and Brazil there was something in every match to enjoy. Unfortunately, the skill gap between the top and bottom ranked teams was all too noticeable, Colombia and Kenya looked notably out of their depth and regularly gave up 40-50 points per match. Some people complained that it went a little bit too much to script, with Australia, New Zealand and Canada all placing on the podium, but how many people complain when Usain Bolt wins the 100m? Upsets are fun, and underdog stories can be lovely, but what most people want to see is the best athletes in the world competing to the best of their ability and that’s what we got. As for the future of Women’s Rugby, I think this tournament will have done wonders for it. As I mentioned earlier the positive reaction from those watching for the first time is very encouraging, there’s a whole new group of people ready to watch more Women’s 7s and possibly even Women’s 15s. However, progress isn’t going to happen purely through brand new fans and breaking a few more star players. World Rugby and Unions around the globe really need to take advantage of this situation and promote the sport better than they have in the past. One of the things I think helped, this time, was having the Men’s and Women’s competitions on at different times, meaning spectators can watch both without having to choose. In the 6 Nations, some Women’s games are broadcast at the same time as the Men’s which means the audience is forced to make as to which one to watch, which cuts the potential audience drastically. The key is in promoting Women’s rugby as more rugby instead of alternate rugby. That all being said, these past few days can be described as nothing less than a triumph. I’m looking forward to Tokyo 2020 already.